Engaging and investing in your employees is now more important than ever. A recent Gallup research study showed that engaged employees outperform their less interested coworkers by a staggering 202%. Whatever your company’s size or industry, massive productivity gains can be achieved by honest employee engagement. The more employees are connected and enthusiastic about their work the better they’ll perform and the more they’ll enjoy the experience. 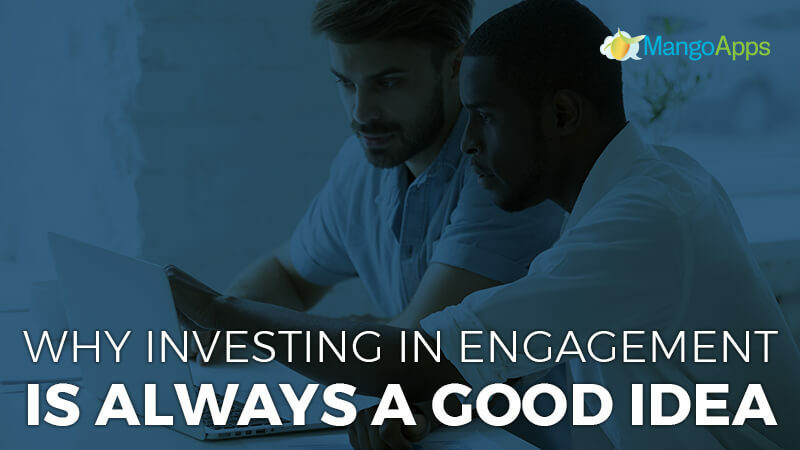 While genuine employee engagement can be hard to get right, here are a few reasons why investing in engagement is always a good idea. While monetary incentives can temporarily motivate employees, real productivity comes from an internal and emotional drive. In a 2017 survey of 120 businesses across the UK, nearly 61% of employees preferred workplace happiness over monetary incentives. Happiness naturally produces more productivity as employees become dedicated to their work and want to contribute to its success. Happiness at work and its accompanying employee engagement can come from a variety of factors like interest in the physical tasks, an adaptive or accommodating schedule, a healthy work-life balance, or a friendly and supportive team. At MangoApps, we regularly see engagement and productivity as our clients have the freedom to work successfully and collaborate with coworkers and peers across their organizations. Companies with a more engaged workforce are on average 21% more profitable than similar organizations with lower levels of engagement. Engaged employees are more productive both in their work tasks and in their interactions with customers and clients. And as productivity increases among employees, profitability naturally follows. Investing in engagement also increases profitability by reducing recruiting and hiring expenses. Onboarding and recruiting costs on average add up to about 60% of an employee’s annual salary and regular turnover can be a real financial burden. Engaged employees are retained employees, who continue to thrive and contribute to a company’s success. Helping employees feel understood and heard through regular and intuitive feedback let you identify disengagement warning signs early on and keep great talent around. A large part of employee engagement is helping employees enjoy a better work-life balance. When employees can take care of their personal needs freely they don’t have distractions during the workday, helping them stay productive, invested and engaged. One way MangApps helps companies improve this balance is by drastically increasing remote work possibilities. MangoApps takes away the worry of communication, reporting, and commitment concerns through its collaboration and communication driven technology. Remote work is a great solution for employers too. A partially or entirely remote work environment can provide significant savings in maintenance costs. Because employers don’t have to invest as heavily in office space or supplies, those would be expenses can be redistributed throughout other areas of the company. Engaged employees are invested in their company and committed to performing well. They work hard to not only meet the minimum requirements but to go above and beyond. Better products, innovative ideas, and above average executions almost always originate from engaged employees and industries. Organizations today have all kinds of teams, dedicated to performing and perfecting different aspects and services of a company. The quality of these services enjoyed by customers depends at least partially on how invested each employee is and how well team members can collaborate and work together. Investing in engagement creates teams dedicated to helping each other to stay motivated, handle pressure and deliver quality output together. For any business to survive, customer satisfaction is essential. Employees are in a sense your first customers and engaging and satisfying them throughout their experience will create authentic brand ambassadors. Engaged employees are more resilient to dissatisfied customers and have a genuine interest in their happiness. They know the value of their company’s products and services and show honest commitment and dedication to customers. Empowering and engaging your employees is the key to successful customer-facing service decisions and to effectively understanding and utilizing customer feedback, suggestions and opinions. Investing in engagement is a continual process and take honest effort from managers and leaders within the industry. But when it is done right, employee engagement is one of the most powerful tools a company has for promoting future success. Engaged employees are dedicated, happier, more productive, more lucrative and most importantly, promote a positive and enriching environment that will attract and retain other well-performing employees. At MangoApps, we know that engagement starts with healthy communication and effective collaboration across teams, departments, branches, and organizations. 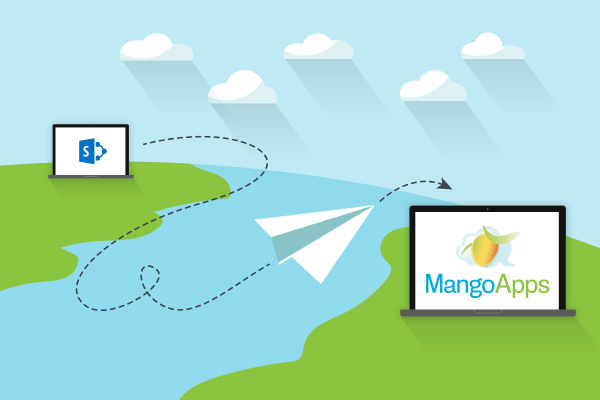 Contact us today to learn more about MangoApps and how collaboration software leads to employee productivity.